Rheem’s approach as a company is to keep the dialogue ongoing and to listen. Then act. The innovations they’ve developed throughout the years in the heating, cooling and water heating industries are a direct result of that process. 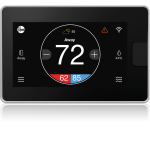 And Rheem has a long list of industry firsts to show for it, with more to come. See complete contact information for Rheem. 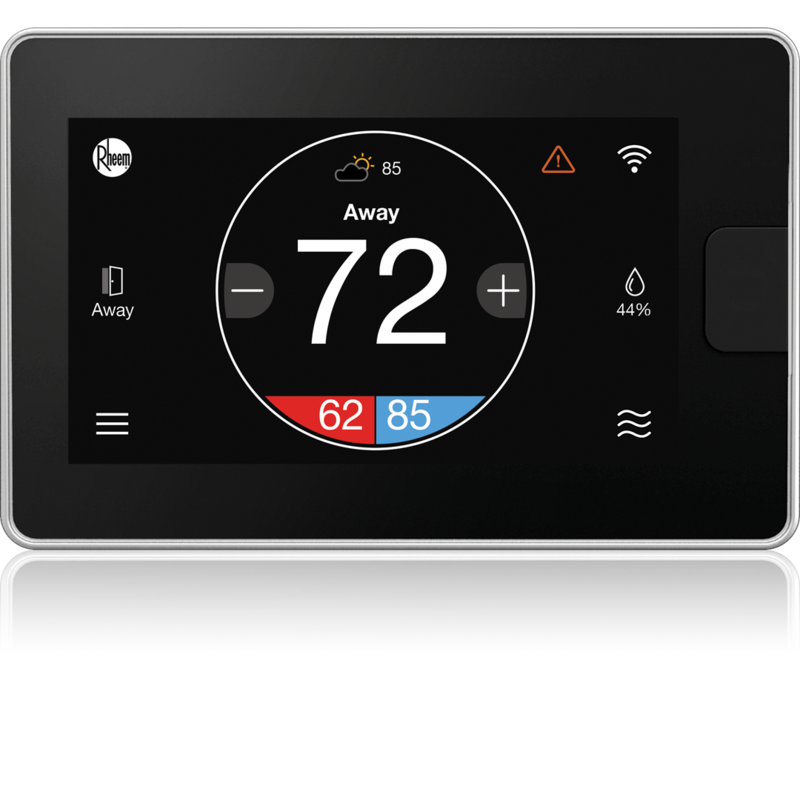 For nearly 100 years, Rheem has offered technologically advanced heating and cooling options for both the residential and commercial markets and is currently the largest maufacturer ofwater heating products in North America. Rheem is the only manufacturer that produces heating, cooling, water heating, pool & spa heating and commercial refrigeration products. Jump to all Rheem product highlights. PROBLEM: To save space, you need a product that produces both hydronic heat and hot water. SOLUTION: Rheem’s Prestige Series High Efficiency Combination Boilers offer domestic hot water and space heating in a single unit. 180,000 and 190,000 BTU models are available. PROBLEM: Condensate is acidic and has to be neutralized before it drains. 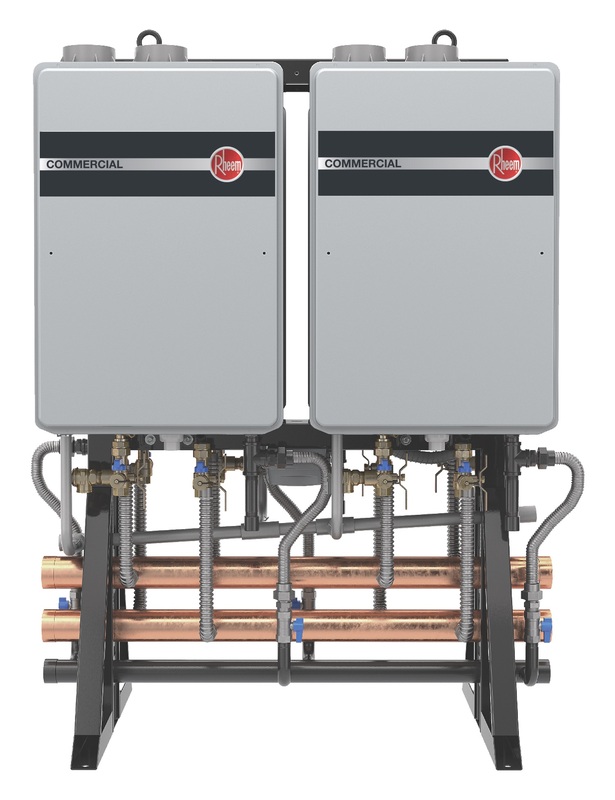 SOLUTION: Rheem Commercial Condensing Tankless Water Heaters have a built-in condensate neutralizer so water can be drained without the risk of corrosion. Rodney Pugh, Commercial Sales Manager for the Southeast and Southwest for Rheem Manufacturing Company, introduces the new Triton commercial high-efficiency tank style water heater. Nicknamed "the intelligent water heater," this water heater alerts the owner of the health of the water heater, and gives warning if tank failure is anticipated, and senses and controls leaks. This smart water heater is connected and can send alerts to smartphones via an app. 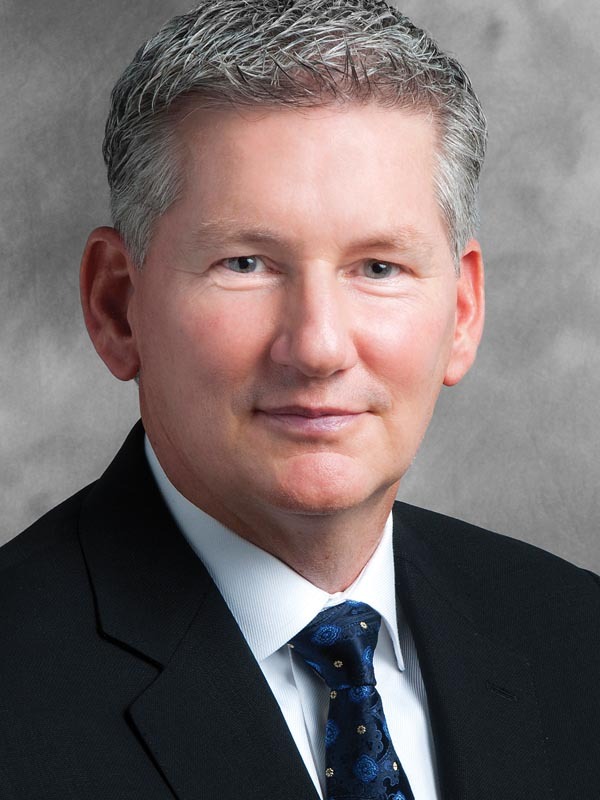 Chris Peel has been promoted to president and chief executive officer of Rheem Manufacturing Company with global responsibility for all business operations, and JR Jones has been named executive chairman of the board of Rheem Manufacturing Company.